"Evil has a whole new rap!" 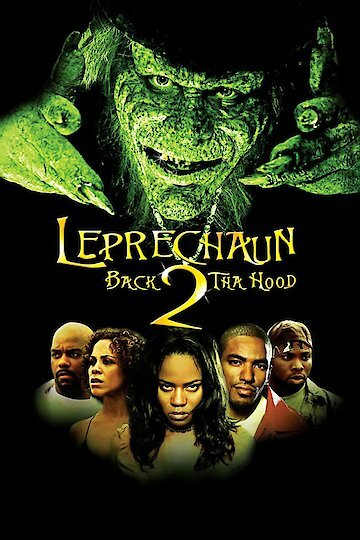 Leprechaun 6: Back 2 tha Hood is an R-rated movie. This horror/comedy is 87 minutes long. When a hairdresser finds a fortune in gold coins, she doesn't expect to have to deal with the evil leprechaun who owned the treasure before her. He wants his gold back, and he's not very nice as he attempts to retrieve it. Leprechaun 6: Back 2 tha Hood is currently available to watch and stream, buy on demand at Vudu, iTunes online.